Lady Zamar who was born Yamikan Janet Banda is a popular South African singer and songwriter. She was born in Thembisa, East Rand, Gauteng but was actually raised in Mamelodi, Pretoria, Gauteng. 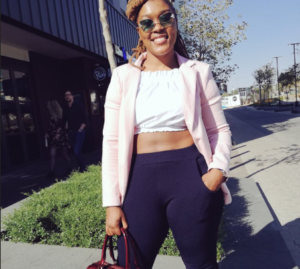 She is also a philanthropist and businesswomen and has developed the Lady Zamar Entertainment brand with her wide knowledge of the entertainment and fashion scene. No one actually knows the real age of Lady Zamar as she prefers keeping this private. But as of 2018, she is believed to be between the ages 29 to 33. According to the singer, her father is from Zambia while her mum is South African and being brought up with two different cultures, this brought her confusion as a child. Both of my parents have got two different cultures. It was difficult growing up not knowing where I stood in life or which (culture) I should define myself with. It was not their fault. They fell in love. They couldn’t even understand each others’ language when they met and had to communicate in English,” she explained.